Stylish and ecologically brilliant, the Vektra vacuum eco kettle boils efficiently and fast then acts like a thermal insulating flask, keeping boiled water hot for up to 4 hours. This means you won’t repeatedly re-boil saving money, time, water and energy. With robust double wall stainless steel outer and keep cool sides, non-drip pouring spout, lever controlled anti-spill stopper and an ergonomic and secure handle for safe, easy use. Energy saving, water saving, stylish, economic and ecologically brilliant. Ideal for any home or office and available in a choice of colours and sizes. 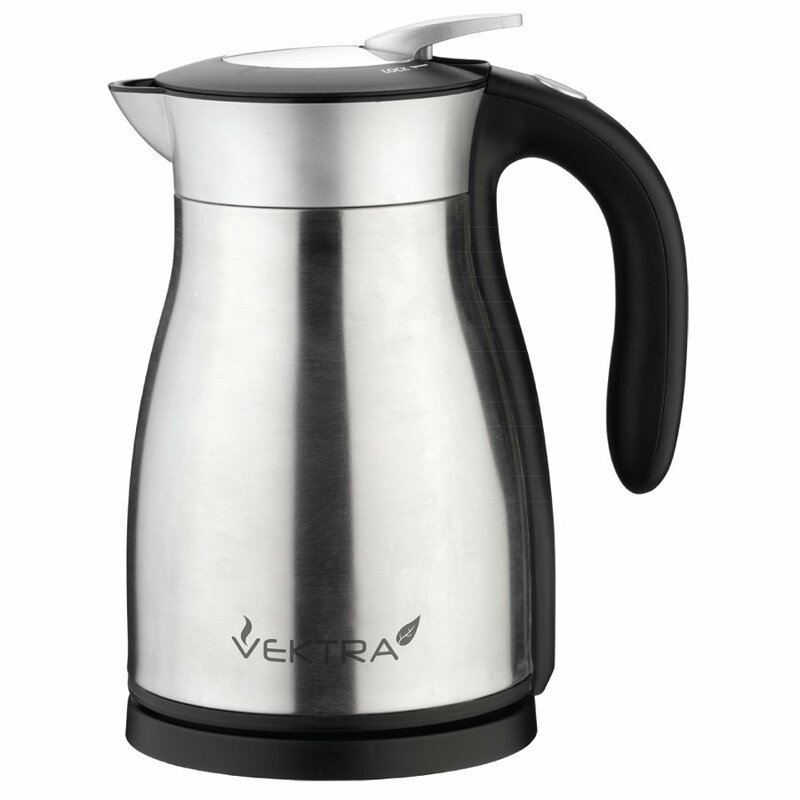 The Vektra Kettle has 18/8 grade stainless steel inside and out, the only plastics used on the product are the trim and handle. The kettle is free from banned substances while also being CE certified for safety. The Vektra Vacuum Eco Kettle - 1 Series - 1.5 Ltr Brushed Stainless Steel product ethics are indicated below. To learn more about these product ethics and to see related products, follow the links below. 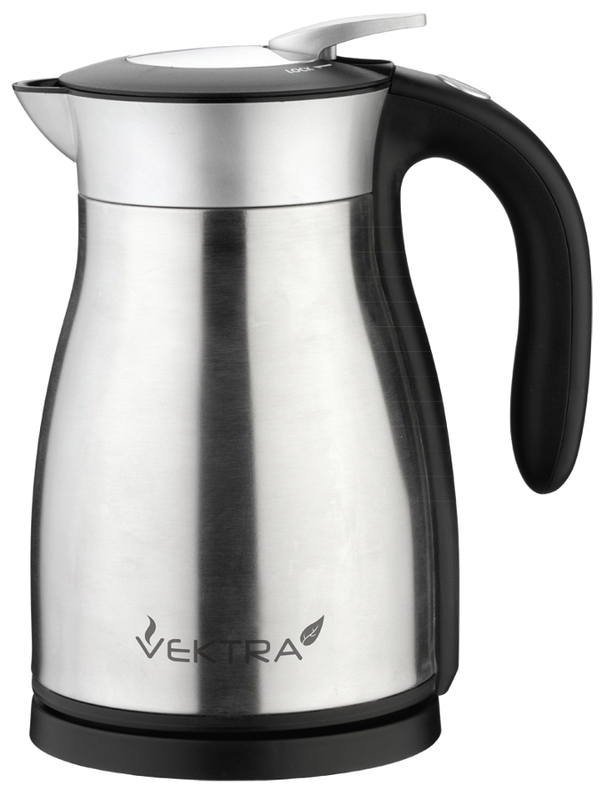 There are currently no questions to display about Vektra Vacuum Eco Kettle - 1 Series - 1.5 Ltr Brushed Stainless Steel. The Vektra kettle is the world’s first thermal insulated kettle. It’s an electric kettle and a vacuum flask with double insulated stainless steel walls meaning that once the kettle is boiled, the water is kept hot for up to 4 hours. This saves water, energy, time and money. What’s not to like? It’s stylish, robust, ergonomically designed, safe to use and eco-friendly – a smart, simple innovation that ticks all the right boxes.